Avianca of Colombia and Kuwait Airways as well as several booking systems were among newcomers at last week’s World Travel Market in London. WTM claimed a total attendance of 50,000 despite a transport strike and fog-bound airports, but next year’s 37th event will be cut from four to three days (7-9 November 2016). Why? This is easy. It is due to longstanding complaints about the costs and remote site, ExCel, from central London. It still attracted 1,500 main exhibitors and 8,000 sub-contracted ones representing 186 countries and regions. 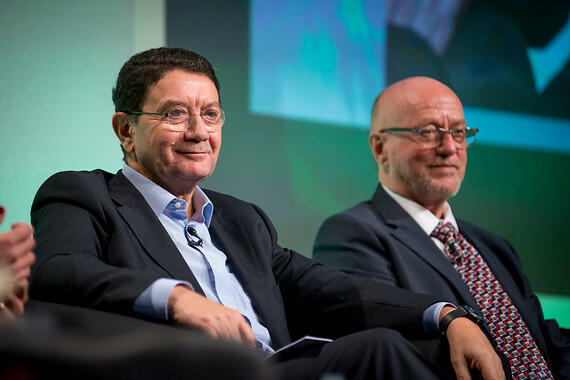 As usual, Taleb Rifai, Secretary-General of the United Nations World Tourism Organization (UNWTO) and Britain’s Tourism Minister, currently Tracey Crouch MP, opened the Global Summit. This year’s theme – echoed in seminars about innkeeping and marketing – was branding, in the face of social media and fickle consumers. Nicolas Petrovic from Eurostar was among 20 other speakers who also included ministers from Malta, Peru, South Africa and – controversially – Zimbabwe. 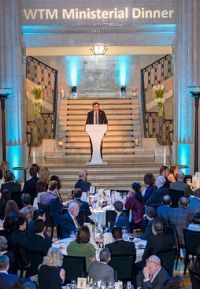 Nearly 100 ministers or directors of tourism attended a dinner sponsored by the Travel Channel, and David Gill, former boss of Manchester United, spoke during a lunch for 200 directors of touristic companies. The show continued its ritual coverage of sustainability (wildlife, ski-ing, hotels, Venice), but the most crowded seminar concerned travel security – the first time the matter has been addressed at WTM since Australian academics raised the subject in 2006. A speaker from the National (British) Police Chiefs' Council identified Egypt, Kenya, Morocco, Tunisia and Nigeria as being the most hazardous destinations, although all but the last-named continued as exhibitors. The full implications of the Sinai air disaster had not been felt. There were fewer national press conferences and interviews with ministers than in the past, but seminars ranged from sports tourism to women’s travel and from city tourism to journeys by bicycle. There was an Airline Industry Panel with speakers from IATA, Delta and Icelandair as well as Christoph Mueller of Malaysia Airlines who explained how it was coping with recent disasters. WTM also had a special corner for buyers of upmarket travel, doubtless intended to rival the Luxury Travel Fair at Olympia from 5-8 November. As usual, there was a big technical presence that exemplified the challenge of modern media and electronics. Trip Advisor, for example, may extend critical blogs to land and sea transport as well as tourist offices. Significantly, WTM’s most acrimonious conference decided that their overseas outlets with ill-trained staff were redundant in the age of tweets and videos. Euromonitor boasted that it had forecast the impact of wearable devices, and also predicted the spread of low-cost hotels and a surge in cycling holidays. Its Global Report commissioned by WTM, noted the negative effect of tension in Eastern Europe, North Africa and the Middle East, but looked forward to China’s sharing in the travel economy. Euromonitor concluded: “Despite low consumer confidence in many parts of the world, the travel industry is still outperforming the global economy and many other industries.” Issuing its own statistics, UNWTO recorded five years of growth, especially in the Americas, with global arrivals up by 4½% to almost 1.2bn. It claimed that travel was providing one in 11 jobs and amounted to 9% of the world’s gross domestic product. 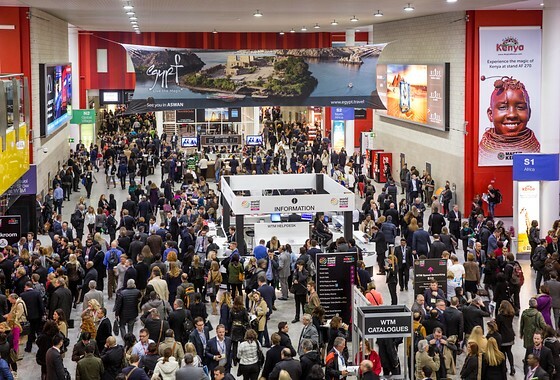 Contracts worth £2½bn were expected from an estimated 15,000 buyers at WTM. Andreas Foundoulis from Crete, said: “This show is useful, but only if one prepares thoroughly,” a comment echoed by Nopasika Mxunyewa from South Africa and Bongan Dlamini from Swaziland. Dominic Hamilton, Ecuador’s Deputy Tourism Minister, said: “Negotiations here will help us double income to US$3bn by 2020. Ethiopian Airlines put its country on the map. Israel was encouraging Chinese and American visitors to compensate for the loss of Russians. Jamaica hoped for American stopovers en route to Cuba. Berlin focused on its welcome card; Fjord Norway on its lengthened season; Slovakia on its snowfields. Visas worried Air Canada. The oversized pavilion of depressed Andalusia was among several subsidised by the European Union. Iran, Mongolia, Vietnam and Saudi Arabia exhibited, but not the three Baltic states this year. The onetime Belgian stand, long split into rival Flemish and Walloon ones, has now placed Brussels separately! Rail Europe has also hived off Voyages SNCF. Branding? Gastronomic tourism got renewed coverage, but one subject was taboo: the wave of unexpected travellers who are now deterring holidaymakers not only around the Mediterranean but as far west as the Canaries, to Calais and even Stockholm. Sorry I overlooked Lithuania whose fine tourist board helped me in 2006. The stand was next-to-smallest-size, half-hidden by another. But 'Baltic states' is correct and common usage, dating from pre-war. In the USSR, they were called 'Baltic (socialist)republics'. It is wrong to say the Baltic States were absent this. Lithuania was at WTM in force. By the way, they are now all countries, not states, as they threw out the Soviets in 1991.